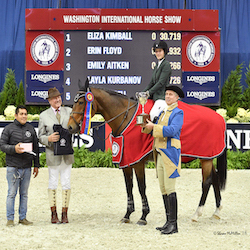 WASHINGTON, Oct. 20, 2016--The 58th annual Washington International Horse Show (WIHS) has an outstanding schedule of events set for each night of competition throughout its six-day run at Verizon Center in downtown Washington, D.C., October 25-30, 2016. 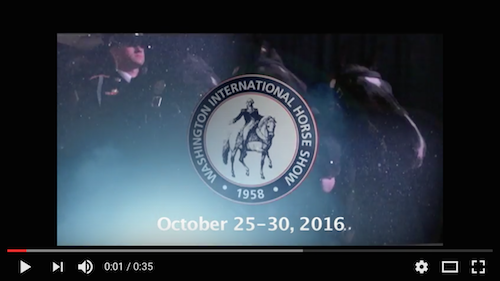 Thursday, October 27, is WIHS Barn Night; Friday, October 28, is WIHS Military Night; and Saturday, October 30, is WIHS President's Cup Night. 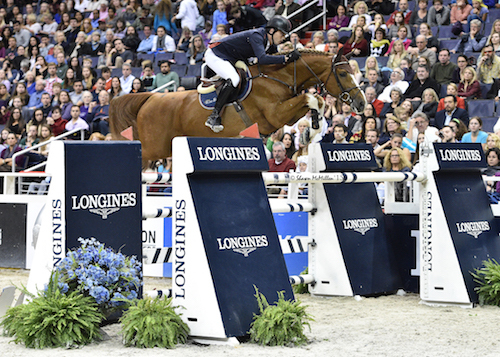 Check out the featured competition and highlights for each night and enjoy this preview in pictures! 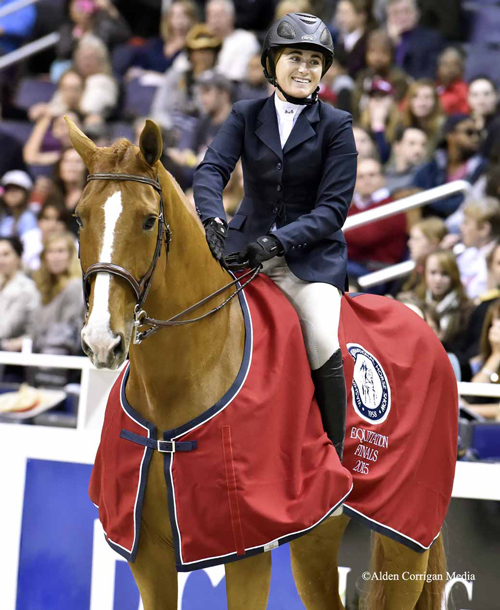 Look who's coming to Washington! Watch the video! 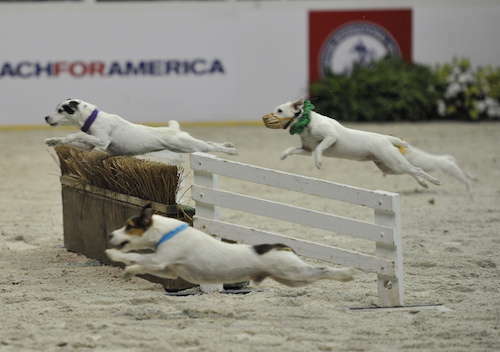 Tickets are available at the Verizon Center Box Office, online at www.Ticketmaster.com or by calling 1-800-745-3000. Daytime tickets (general admission only) are $15 (plus applicable service charge) with children 12 and under admitted free. 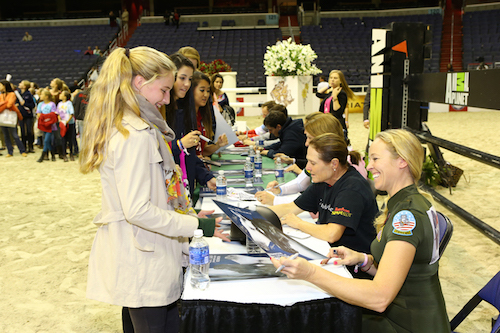 For evening performances, VIP, reserved and general admission tickets are available starting as low as $20. 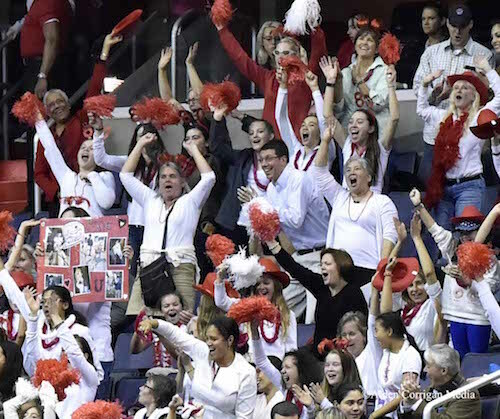 For group discounts, contact Verizon Center Group Sales at 202-661-5061. 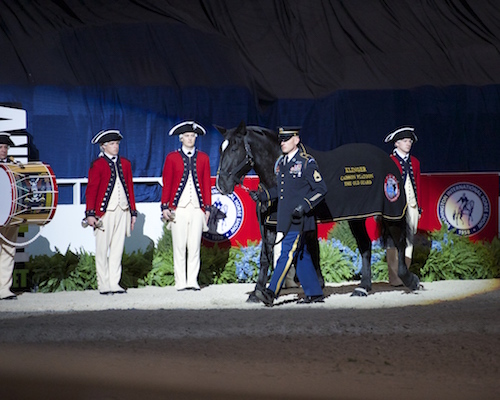 For more information on tickets and discounts for military, seniors and students, please visit http://www.wihs.org/tickets/. Internet sensations Dally and Spanky will make their first appearance of the week on Thursday and will also dazzle crowds on Friday and Saturday nights. 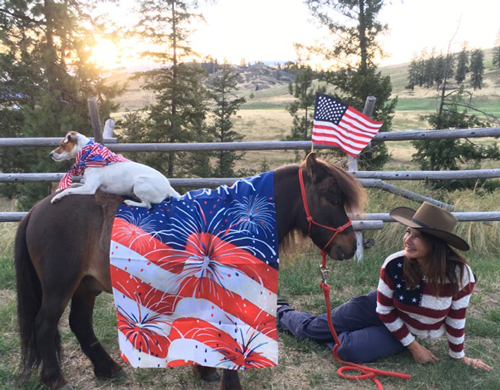 Dally is a Jack Russell terrier and Spanky - her best friend - is a rescue miniature horse. 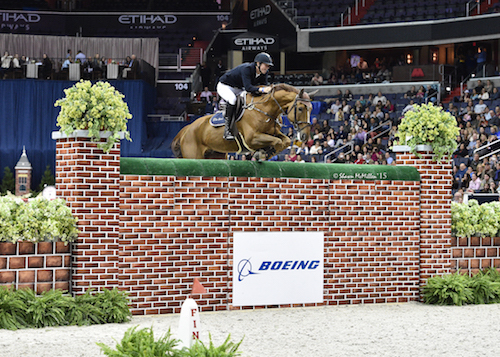 Friday's competition highlights the $25,000 International Jumper Puissance, presented by The Boeing Company. Photo by Shawn McMillen Photography. 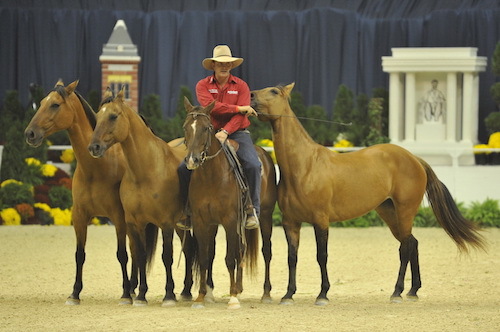 Renowned Australian horse master Guy McLean will perform his one-of-a-kind liberty horse demonstrations on Friday evening. 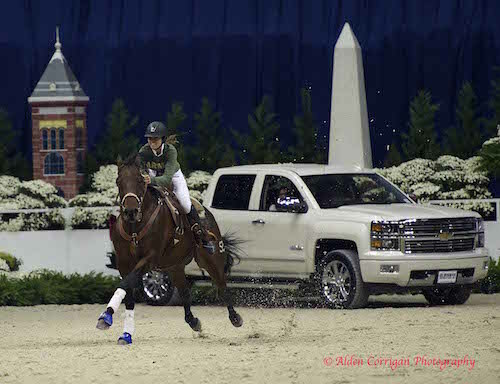 The power of McLean's performances hinge on the deeply personal and loving relationships he forms with his horses. Photo by Diana DeRosa. 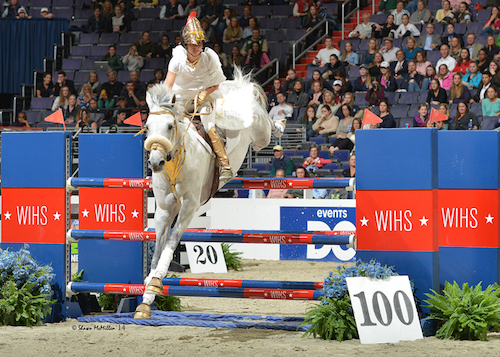 Saturday night will offer a memorable experience at WIHS with a full schedule packed with exciting competition and entertaining exhibitions. 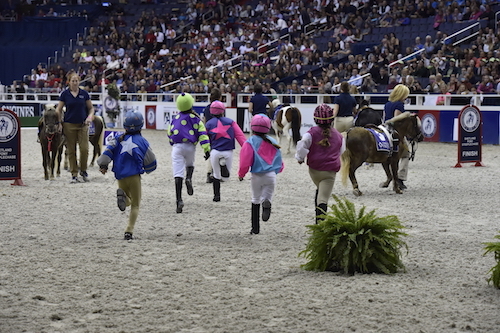 There is something for everyone on the biggest night of the show! 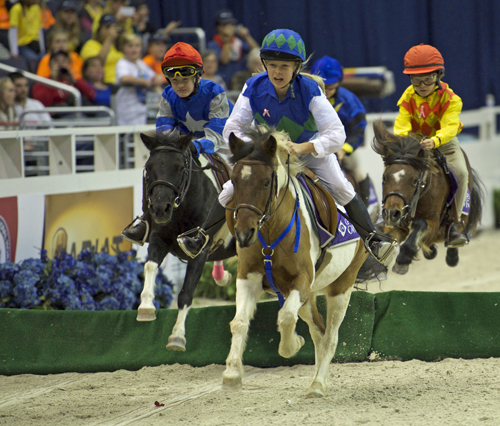 The adorable ponies will run their final race of the season on Saturday night in the WIHS Shetland Pony Steeplechase Championship Series, presented by Charles Owen. Photographs may be used on time only in relation to the above news item. 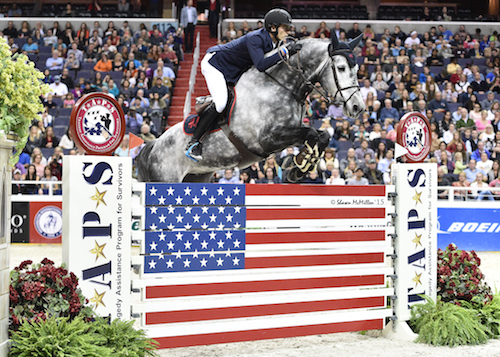 For high resolution photographs, please e-mail: lauren@jumpmediallc.com.